You should know that, if your case arises under the Texas Family Code, the odds are high that you will be ordered to go to mediation before you can proceed to trial. When this happens, you should have a basic idea of what mediation is, and what it is not. Mediation has the potential to be a great benefit to you and really has little, to no, downside. Why is your lawyer doing that? You have every right to ask your attorney why they are doing things in your case. I have had cases in which the other side consistently took positions that were unreasonable and, frankly, that they could not (and did not) win. I had the impression that the client on the other side did not know that their attorney was taking these positions. 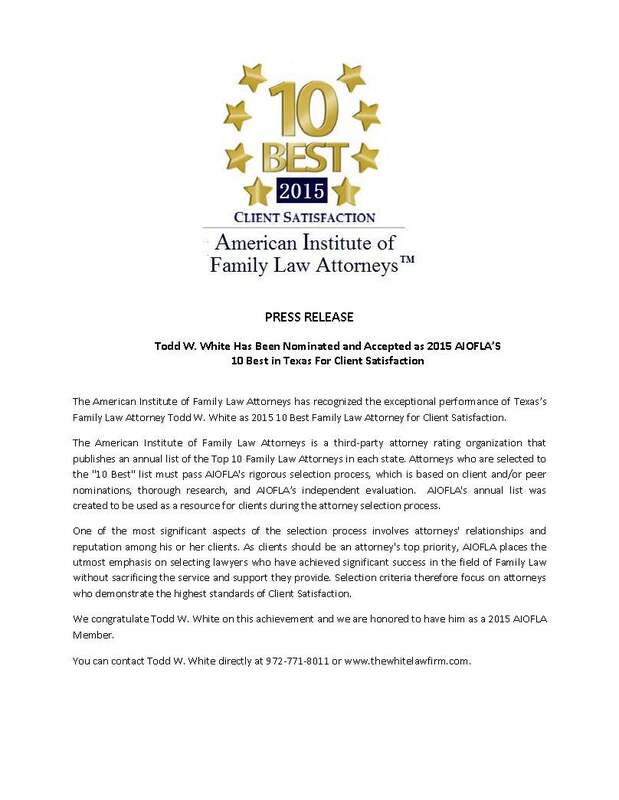 Todd White Rockwall Divorce Attorney, and The White Law Firm in Rockwall, Texas, were recently honored by the American Institute of Family Law Attorneys as one of their 10 Best Family Law Attorneys for Client Satisfaction. 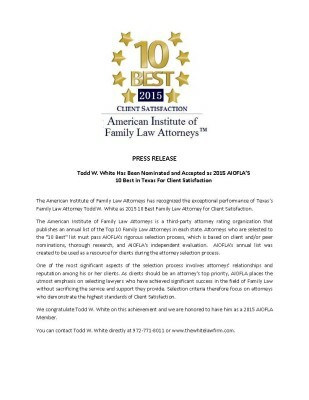 If you are facing a divorce or other family law litigation in Rockwall, Texas or our surrounding area of Collin, Dallas, Hunt, Kaufman, Rains or Van Zandt Counties call the firm today at 972-771-8011.